Tom is well known for his passionate support of Galveston, his expertise in historic homes and his efforts to protect and develop what makes island life so special. An award-winning Broker, Tom is Galveston’s #1 agent for in-town sales. For exceptional customer service make sure you “Talk to Tom” to buy, sell or lease in Galveston. With such a successful history in Galveston Real Estate, it is no surprise Tom has launched his own brokerage. Joining Tom are Alex Monteith, Brian Kuhn, Carmen Montanez, and Sergio Montanez – all experienced realtors who share Tom’s commitment to customer service. Need to Sell Your Home in Galveston? Tom is a Certified Seller Representative! Need to Lease in Galveston? From corporate rentals, condos and apartments to single family homes we have what you need. In Galveston there are many so different types of homes and neighborhoods, it pays to work with an experienced REALTOR® who makes all the difference. Tom lives here! He is a well-known and respected island resident who makes his home in the Historic East End, he is a community volunteer, and a board member of several local organizations. He has the honor of having served in many leadership positions within these groups as well. Call 713-857-2309 today and Talk to Tom! With Tom’s successful history in Galveston it is no wonder he has decided to launch his own real estate firm. His vision for Tom’s Galveston Real Estate is a customer focused firm to help people buy, sell or lease Galveston. The history, beautiful natural features are people who live here are just some of the things that make island life so special. When finding your own place in the sun you need to work with a company that has superior local knowledge about everything that makes Galveston what it is. 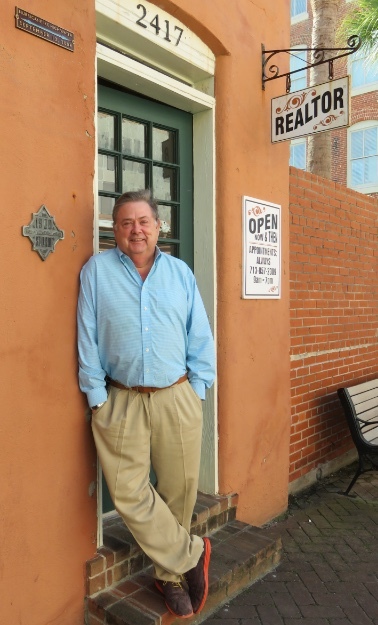 Tom has owned property in Galveston since 1987 and became a full time resident in 2001. He has leadership positions on many community and civic organizations and is recognized as an historic homes expert. Alex Monteith, Brian Kuhn, Carmen and Sergio Montanez, as well as Shane McDermott are our professional agents who share Tom’s commitment to customer service and knowledge and expertise of the local market. “He is an extremely bright, honest, and capable person. His skills as a real estate professional are exemplary.